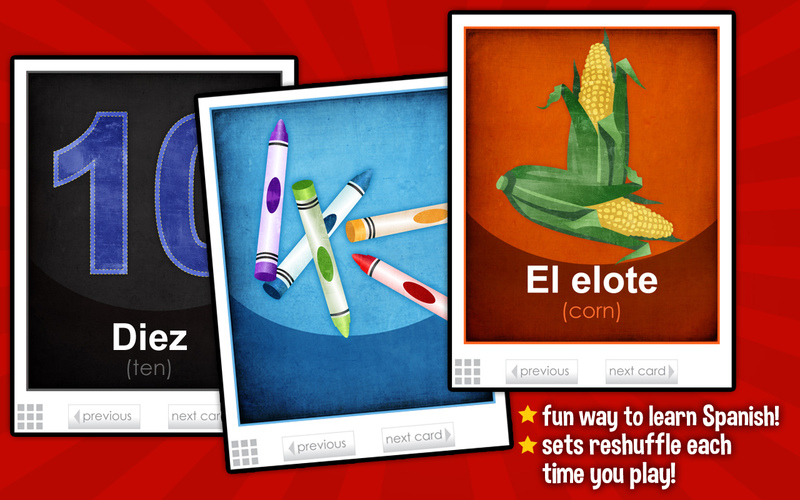 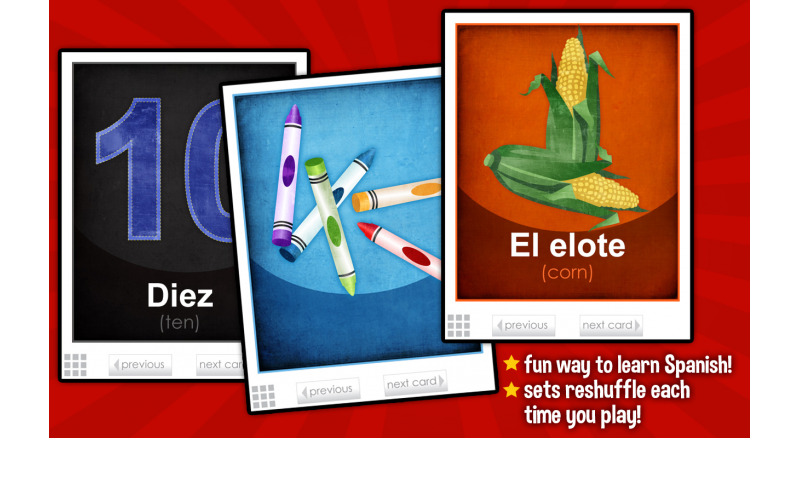 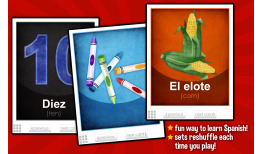 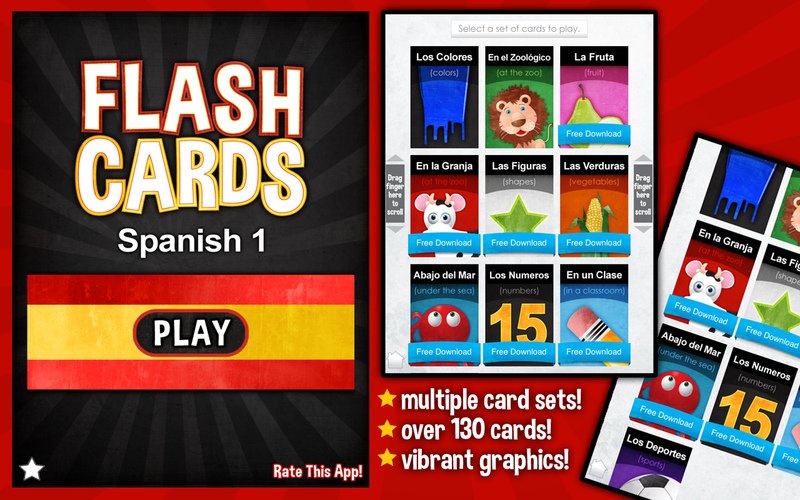 Flash Cards - Spanish 1 is an educational app for kids and adults alike. 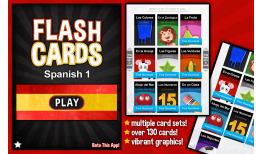 The comprehensive Spanish 1 Flash Cards app includes multiple sets of cards geared for learning basic words in Spanish. 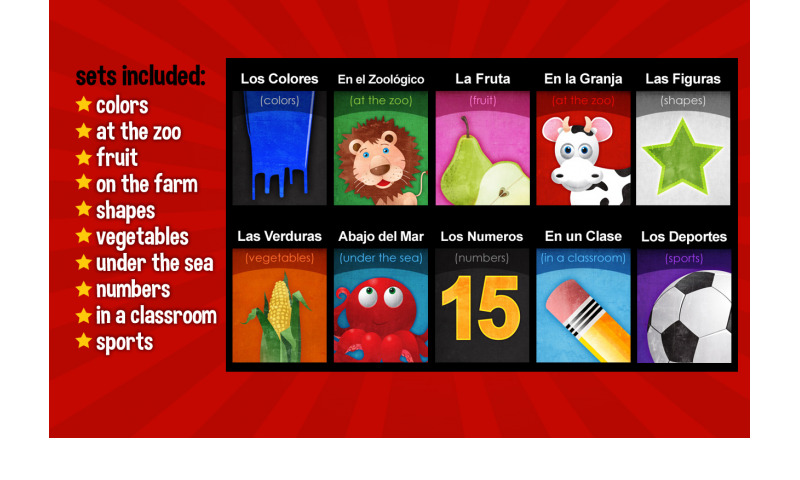 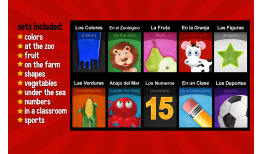 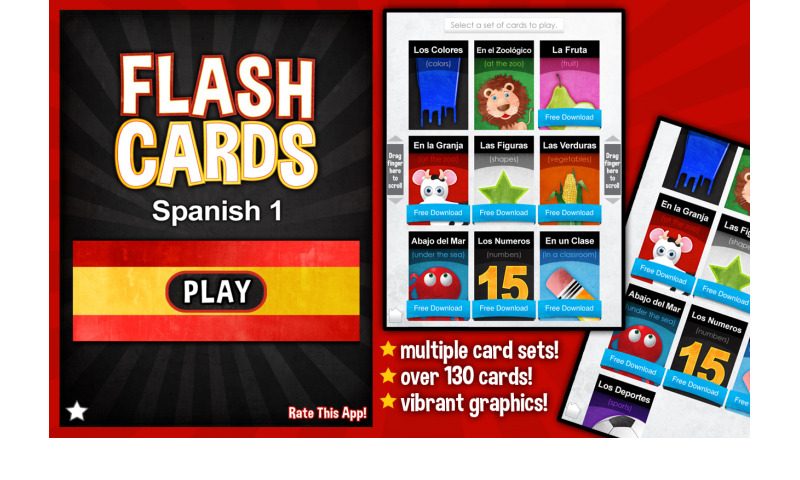 Flash Cards - Spanish 1 is the perfect educational app for children who are learning a second language. 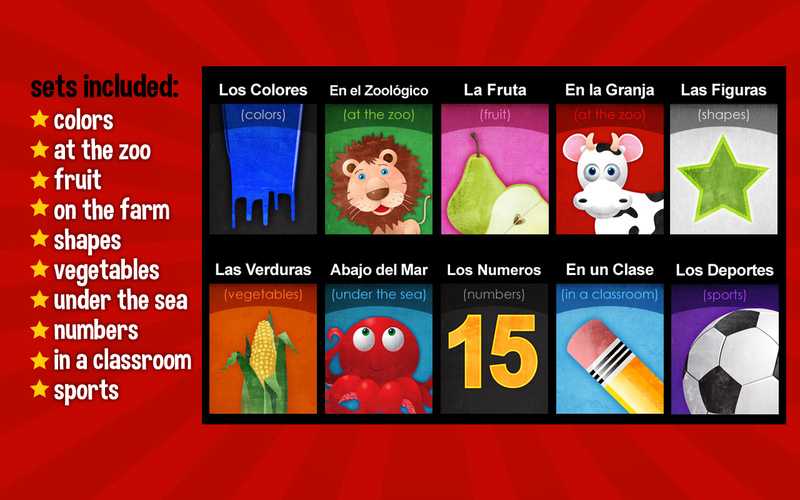 It's also a great learning tool for anyone who is just starting off with an early introductory to the Spanish language. 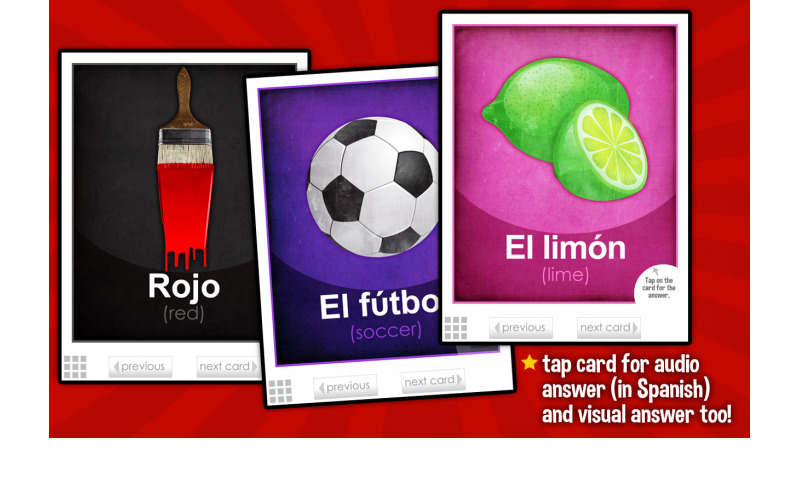 We've selected some of our favorite vibrant and stunning images to be incorporated into these various sets of interactive Spanish flash cards. Just tap the screen to get an audio answer in Spanish, along with the spelling of the word in Spanish and in English! 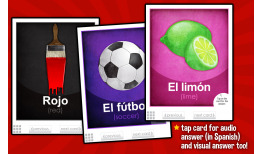 All of the spoken Spanish in this app was recorded by a real Spanish teacher and is consistent with how it would be presented in a classroom setting. 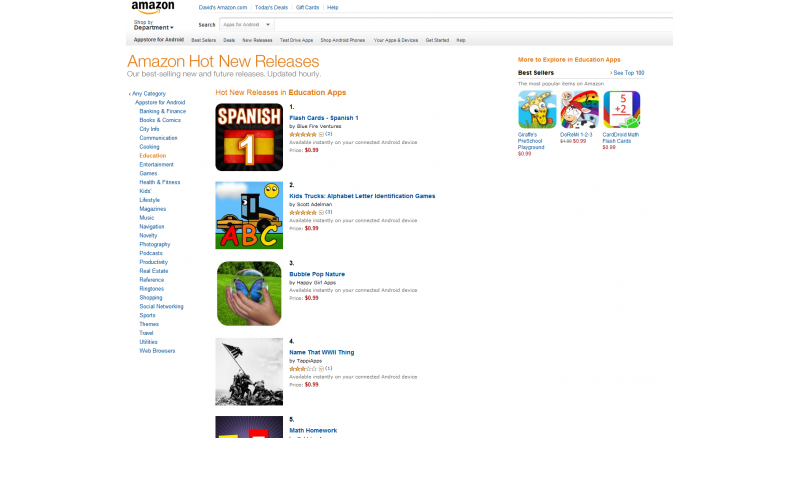 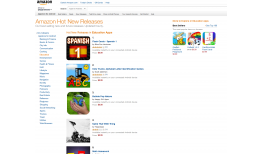 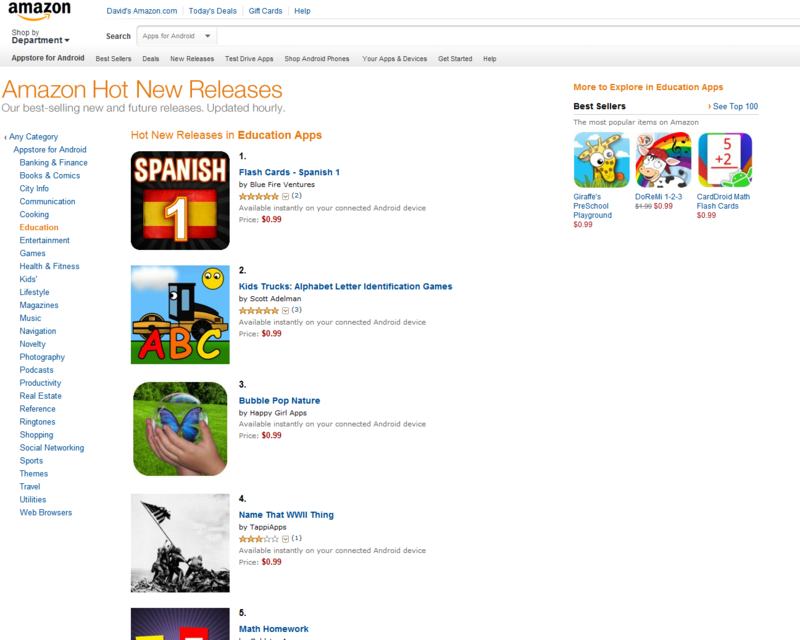 Learning Gems - Flash Cards - Spanish 1 Ranked #1 in Amazon's Hot New Releases: Best Educational App!